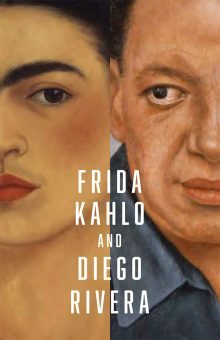 Get an exclusive preview of the exhibition Frida Kahlo and Diego Rivera at the Heard Museum before it opens to the public on April 11. Celebrate these legendary Mexican artists while listening to bolero music, tasting traditional Mexican cuisine by Aventura Catering and viewing masterpieces by Kahlo and Rivera. Remarks will take place at 6:15 p.m. in the Dennis H. Lyon Family Crossroads Gallery. The exhibition will be in the Virginia G. Piper Charitable Trust Grand Gallery. The opening party will take place from 6 to 9 p.m. with live entertainment, passed hors d’oeuvres, and hand-crafted margaritas, cocktails, beer and wine will be served in the Central Courtyard, South Courtyard, and the Lyon Family Crossroads Gallery. Opening Party ticket holders should enter through the Central Avenue entrance, at the main gate or at the Ben-Horin East Entrance Garden. A private reception and viewing for VIP ticket holders will begin at 5 p.m. in the Monte Vista Room and the Piper Grand Gallery. The VIP party includes private access to the gallery for one-hour from 5 to 6 p.m., an exhibition catalogue, complimentary valet at the Monte Vista gate, tequila tasting bar, and a special photo station. Please access this reception from the South/Monte Vista entrance of the museum. In addition, enjoy a special Indigenous Mexican Artists Show and Sale hosted by the Heard Museum Shop from 5 p.m. to 8 p.m. in the Central Courtyard. Learn more.